I’m sure a lot of you have heard of Kid Creole and the Coconuts, the Brit Award winning and Grammy nominated band that has been recording Platinum records since 1980. The X Concept’s CEO, Charles Oreve got the chance to meet Kid Creole and Eva Tudor Jones in 2013. In 2016 They decided to revamp their website. We kept the WordPress CMS and developed a new theme that is now more appropriate to mobile navigation and presents a more modern and visual interface. 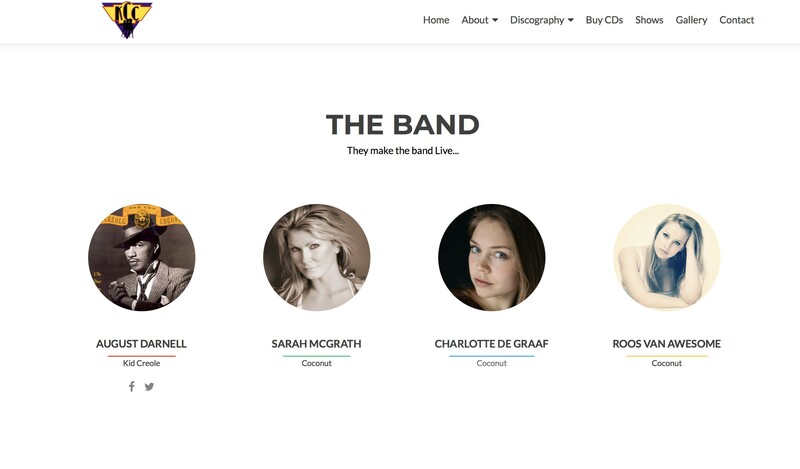 The band is composed by Kid Creole, and Coconuts: Eva Tudor Jones was a coconut for 18 years and now is taking care of band management, needed to feature all the new coconuts on the website. 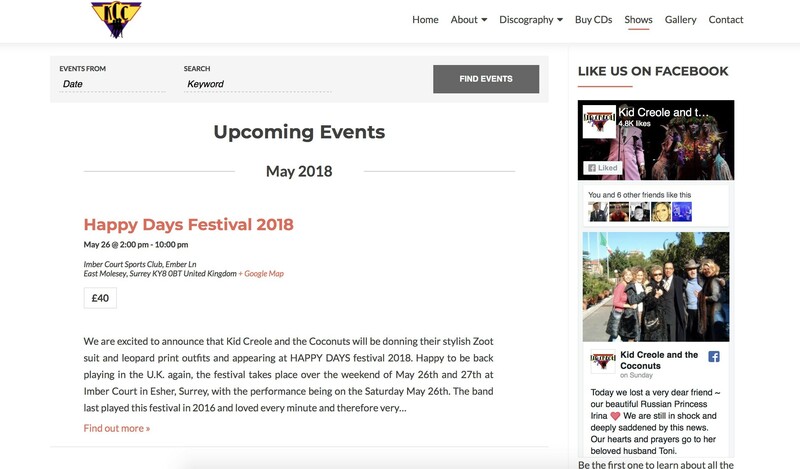 Events are key, as Kid Creole and the Coconuts are still actively touring all over the world, and that over 37 years after creating the band. We installed an event management platform that is compatible with social media integration. 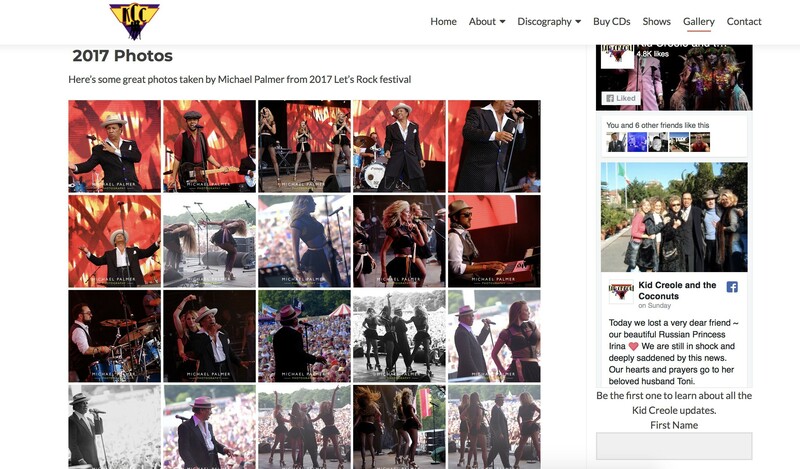 We managed a new blog setup, that is synchronized with social media networks allowing the band to convert their social media visitors to gravitate back to their website therefore increasing traffic. A band with 37 years history has a non exhaustive gallery filled with amazing memories. 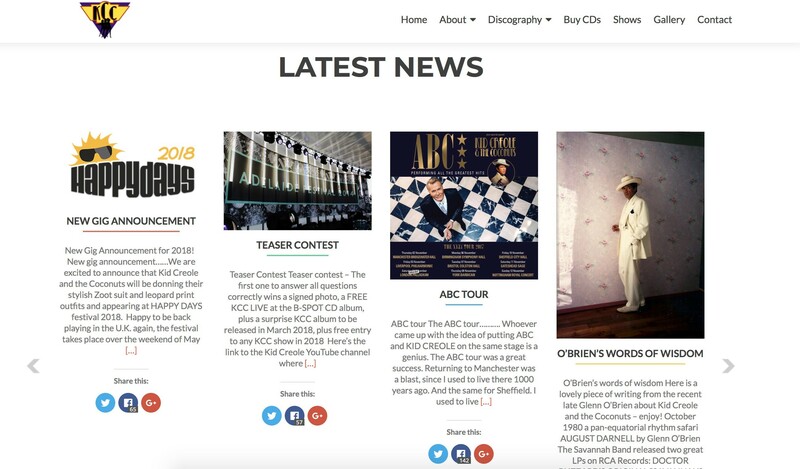 We trained the band manager to update all sections of the website in a very limited number of hours making them autonomous in their website update activities. You can visit their website and their Facebook page.